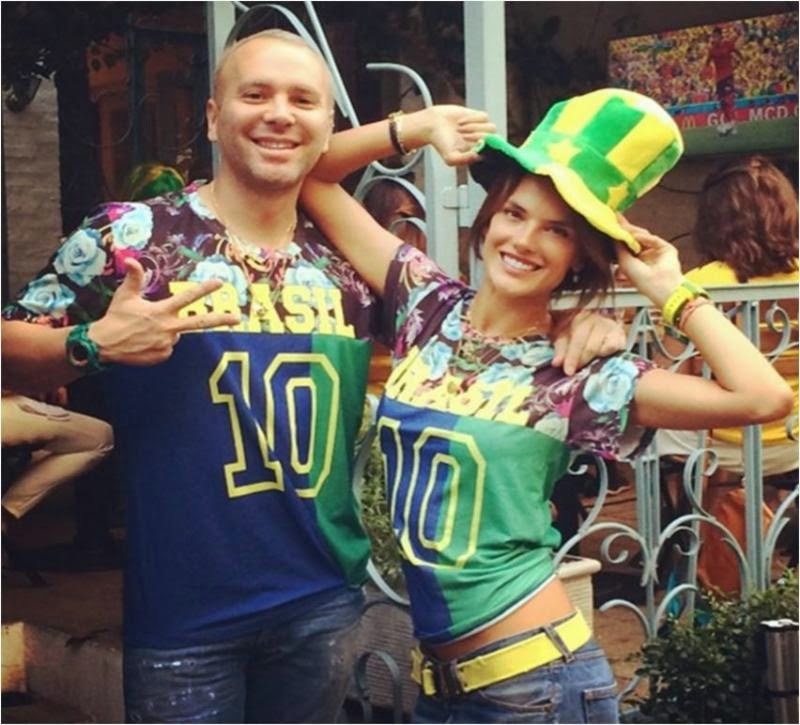 Alessandra Ambrosio was spotted wearing a watch from TechnoMarine's Tribute to Soccer Collection while celebrating the World Cup games in Brazil yesterday. The supermodel accessorized her head-to-toe fan fashion look with her Brazil Game Day watch ($525; www.technomarine.com). The TechnoMarine Tribute to Soccer Collection is a limited edition series in collaboration with artist Romero Britto. 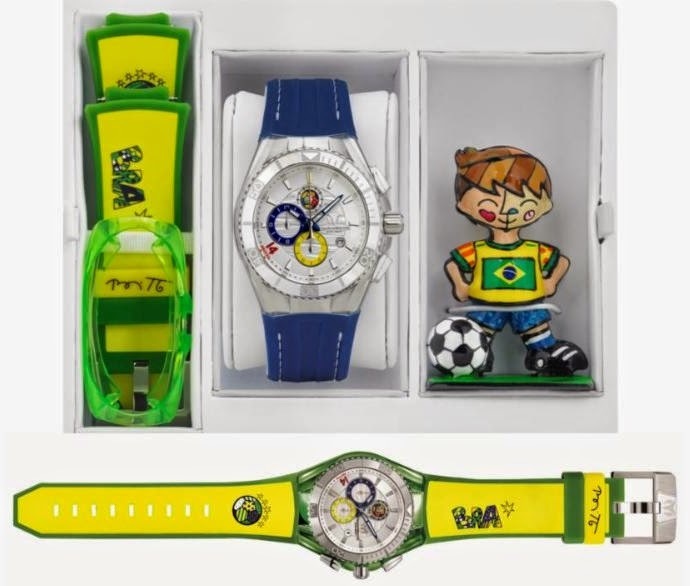 Each watch comes with an interchangable solid strap as well as one of eight different team straps and Romero Britto Country Figurine. See more of the Britto Soccer Watch Collection from TechnoMarine. You may also be interested in learning about the special watches that the referee's are wearing at the World Cup.